Home » Posts Tagged "Mindfulness Works"
Mindfulness emphasizes a non-judgmental, moment-to-moment awareness of your individual experience generally meaning thoughts, feelings, and sensations, but sometimes taken more broadly to include interactions with the physical world. Thus, part of the task is to actually be in the present moment instead of thinking about the future or the past. But the other central element here is the open acceptance of whatever you find in your present, it’s a kind of “going with the flow.” This orientation towards experience is sometimes referred to as “beginner’s mind,” in which one sees the world as if for the first time, free of the baggage of experience or preconceptions. In everyday waking life, characterized in the brain by the dominance of the Beta brainwave, the evolutionary hangover of the fight-or-flight response causes a host of undesirable problems. While we once needed to react quickly to real dangers like a predator interested in dining al fresco on a little homo sapiens – the elevation of blood pressure, heart rate, and cortisol are now frequently triggered merely by perceived stressors. Since no actual “flight” ensues, the body is not able to “burn off” the hormonal stew in a release of intense physical activity and, over time, the neurochemical imbalance leads to cardiovascular diseases, suppressed immune systems, inhibited growth and repair, and many other physical and emotional ailments. Numerous scientific studies have demonstrated the effectiveness of mindfulness in combating stress. In part, this is due to the reduction in the trained mind’s tendency to wander “off the reservation” and start speculating about imaginary, dire consequences. In some studies, a “mindfulness intervention” actually caused people to reevaluate perceived stressors and react to them in a neutral or even positive way. In addition to the reduction of stress, mindfulness enhances one’s ability to perceive the world accurately and, in fact, tends to encourage more positive reactions to experience. 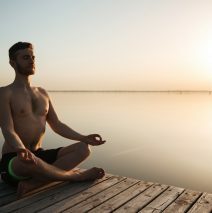 Not surprisingly, the practice has spread from the medical arena to the world of big business, with several major corporations offering mindfulness programs to their employees. Kathy Harrington on Does Stress Really Affect Your Mouth And Teeth? Holotropic Breathwork™ is a powerful and transformational breathwork method of using non-ordinary states for self-exploration, personal transformation & healing. In a highly experiential method, Holotropic Breathwork combines breathing, evocative music, focused release bodywork, & profound relaxation. Subscribe to our newsletter to stay updated.